The Parnell Society was established in 1986. To stimulate interest in the life, work and times of Charles Stewart Parnell and the Parnell Family. 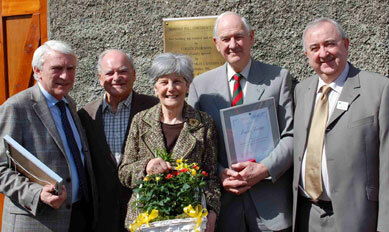 To promote Avondale as a centre which would reflect Wicklow’s historic association with the Parnell family. To explore the relevance of Parnell and the politics of his era to modern Ireland. The Society is an educational trust. Its main work is the presentation of papers and lectures on 19th century Irish history and contemporary affairs through the International Parnell Summer School that is held each year in the former Parnell home at Avondale House, Rathdrum, County Wicklow, during August. A complementary educational event is the annual Parnell Spring Day held in April where aspiring and established historians are given an opportunity to present research papers to a discerning audience and to further contacts with a diverse audience of persons who share an interest in the Parnell legacy. Over the years, many leading writers, historians, politicians and journalists have participated in the Parnell Summer School and/or Spring Day. Parnellites from the United Kingdom, France, United States, Japan, Australia and other countries regularly attend events as well as members of the public who relish the intellectual stimulation and ambience for which the Parnell Society is justly famous. Summer School themes have included the Famine, Emigration, the Irish Parliamentary Tradition, the Republic, Religion in Irish Society, Gender, Landlord, the Ulster Question, and Leadership. Since its foundation the Parnell Society has undertaken a number of home and international educational tours, visiting locations associated with the extended Parnell family in places like Boston, Bordentown and Valley (Alabama) in the United States, London, Eltham, Brighton, Hove, Littlehampton and Ilfracombe (North Devon), Paris and Washington DC. Home tours have included several commemorative and educational visits to Glasnevin Cemetery, Avondale, Aughavannagh Lodge in County Wicklow and other venues associated with Charles Stewart Parnell. At a recent Spring Day Conference, the Parnell Society made presentation to two of its original founders, Mr Joe Buckley and Mr Frank Turvey. Both were awarded Honorary Life Membership of the Parnell Society in recognition of their services to the Society.